Camso Tyres (formerly branded as Solideal) are one of the worlds leading specialists in the design, manufacturing, and distribution of off-road tyres, wheels, and rubber tracks to serve the material handling, construction, agriculture, power sports, automotive and defence industries. 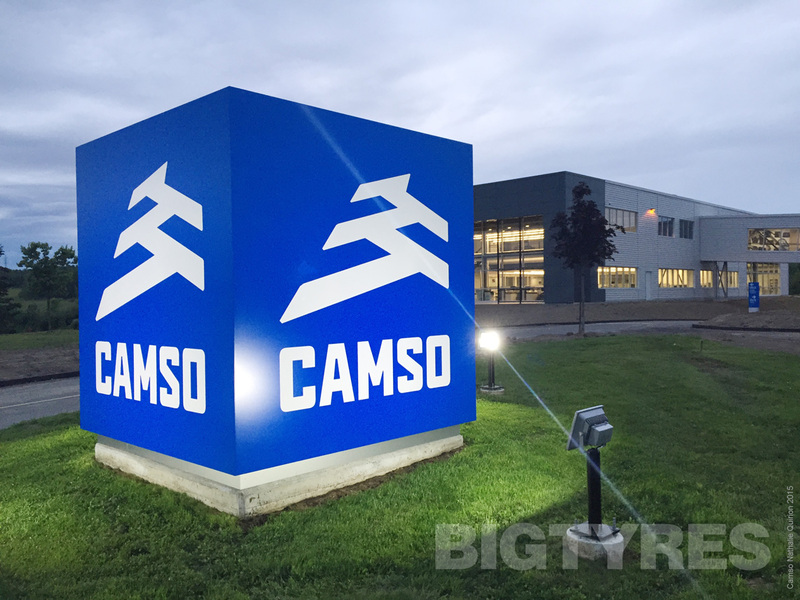 With a global team of more than 8.000 dedicated employees, Camso Solideal operate advanced R&D centers, as well as manufacturing plants in the U.S.A., Canada, Europe and Asia. 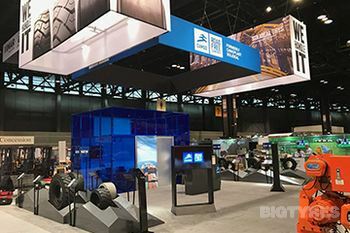 Solideal / Camso use the full power of their experience, engineering expertise, innovation skills & best-in-class manufacturing capabilities to deliver high performance products of unrivaled quality & value. The private Canadian company Camoplast acquired the Luxembourg based company Groupe Solideal in 2010 to become Camoplast Solideal. 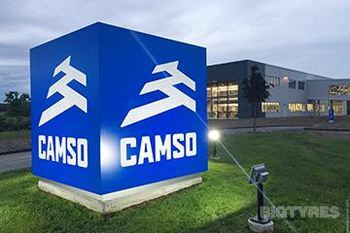 Around 2015 they rebranded themselves to become known as the simpler, shorter name of Camso. Big Tyres recommends Camso tyres due their tough construction, great wear rates & strong tyre carcass' that can be repaired several times more than their budget counter parts. The Solideal 4L I3 has been rebranded as the Camso 4L I3. The Camso 4L I3 tyre offers a a smooth ride with enhanced traction and provides exceptional versatility and durability in both on and off-road applications. The Camso 4L I3 tyre has a versatile directional tread pattern with a center block to help reduce vibrations, and give you enhanced driving comfort, whilst providing excellent traction in off-road conditions. The Camso 4L I3 is ideal for Telehandlers, Wheel Loaders and Mini-Dumpers to help reduce vibrations. The Camso 4L I3 tyre has a hauler stepped tread design to maximise tread clean-out in off-road conditions for improved traction. It features an open shoulder tread design to provide excellent traction, and the Camso 4L I3 tyre benefits from a heavy-duty carcass which provides excellent stability and side impact resistance. The Solideal 4L R1 is now known as the Camso 4L R1. The Camso 4L R1 is a crossply (bias) pneumatic tyre with excellent off-road traction, side impact resistance, and stability. The Camso 4L R1 has a stable footprint for comfortable driving on hard surfaces, and a high lug to void ratio for maximum traction. 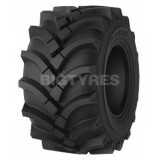 This tyre is a great option for Telehandler, Backhoe Loader and Mini-Dumper Tyres. 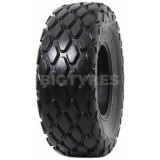 The Camso 4L R1 (formerly Solideal 4L R1) is a crossply (bias) pneumatic tyre with excellent off-road traction, side impact resistance, and stability. The Camso 4L R1 has a stable footprint for comfortable driving on hard surfaces, and a high lug to void ratio for maximum traction. This tyre is a great option for Telehandler, Backhoe Loader and Mini-Dumper Tyres. This is a special version of the Camso Solideal 4L R1 which has a continuous straight lug. The Solideal SRAT E3 is now the Camso ADT 753R. 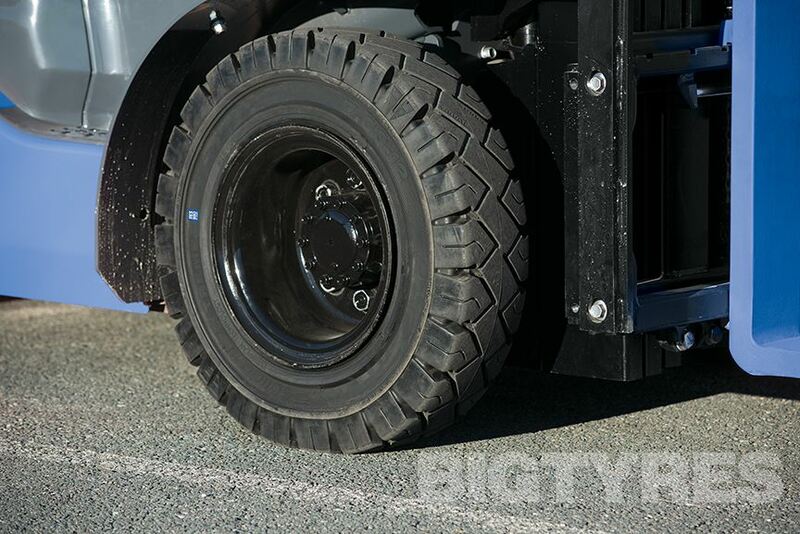 The Camso ADT 753R tyre is a premium and versatile solution for tough articulated dump truck applications. Combining excellent traction, stability and durability, the Camso ADT 753R is an excellent option for a wide variety of surface conditions. The Solideal MultiRib MR F3 is now the Camso BHL 530. The Camso BHL 530 is a crossply (bias) pneumatic tyre with a multi-rib tread pattern. 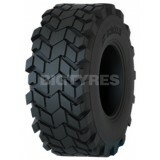 The wide tread footprint provides the Camso BHL 530 with excellent flotation and manoeuvrability. 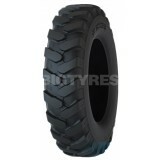 The good stability and traction make the Camso BHL 530 an excellent multi-rib tyre. The Solideal SLA R4 is now known as the Camso BHL 532. 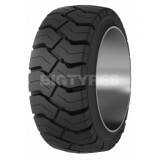 The Camso BHL 532 is an advanced crossply (bias) pneumatic tyre which balances on- and off-road application. The directional extra-deep tread makes the Camso BHL 532 highly durable and minimises on-road vibration, and a flexible casing further improves on-road performance and increases traction. The Solideal BHZ is now known as the Camso BHL 753. The Camso BHL 753 has been thoroughly designed to ensure even tread wearing and reduce vibrations. The BHL 753 is comfort and long tyre life combined into one, a great choice for Backhoe Loader tyres. The Camso CMP 533 is a heavy duty tyre for soil compactors. The diamond tread pattern with a flat tread profile ensures that the Camso CMP 533 applies low ground pressure and wears evenly for better durability. The stepped blocks improve traction for the Camso CMP 533, and the robust carcass enhances side impact resistance. The Solideal SM C1 is now the Camso CMP 576. 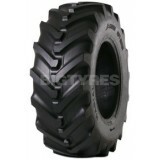 The Camso CMP 576 is a crossply (bias) pneumatic tyre with a smooth tread. The Camso CMP 576 has robust rounded shoulders for optimum compaction and minimal grooving, with a wide, flat footprint for equal ground pressure across the tread. 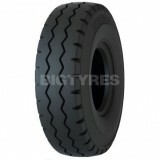 The Solideal ED is a crossply (bias) pneumatic tyre for universal service. The Solideal ED has a wide sidewall for excellent side impact resistance. The deep lugs provide optimal traction on most surfaces, making the Solideal ED an excellent general-purpose tyre. The Camso EMT 553R is an L3 pattern tyre for wheel loaders and articulated dump trucks. The non-directional interconnected block pattern provides the Camso EMT 553R with excellent durability and versatility, and also improves self-cleaning and traction. The strong radial carcass of the Camso EMT 553R maximises comfort, traction and stability, and the low profile sizing maximises the tyre footprint and wearable rubber volume. The Camso GRD 533R is a versatile and durable radial tyre for motor graders and similar vehicles on mixed soft surfaces. The Camso GRD 533R features a strong radial carcass to maximise comfort, traction and durability. 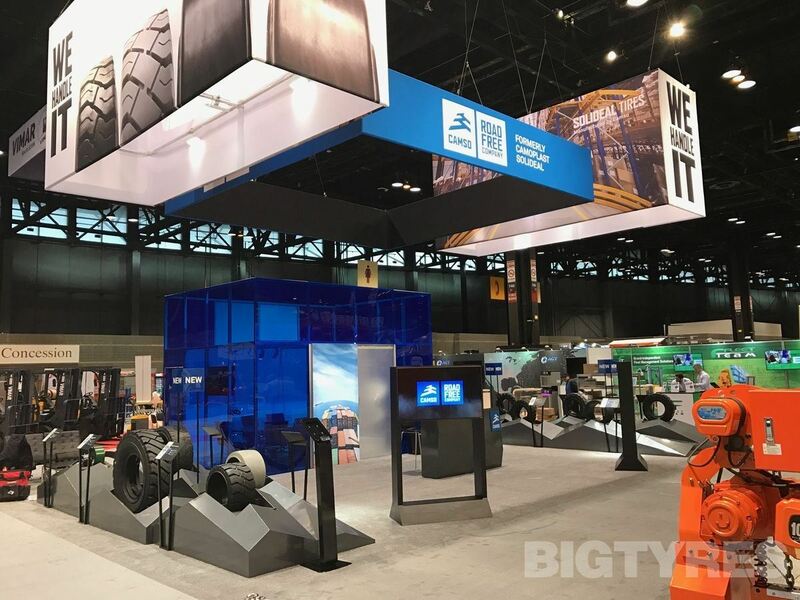 The enhanced tread design of the GRD 533R, with interconnected blocks across a wide, flat tread, provides excellent grip, stability and flotation even on soft soils. The Camso Solideal Hauler is a crossply (bias) pneumatic with extended life for severe environments or extensive use. The Camso Solideal Hauler has a wide tread for superior stability, with massive tread blocks and deep lugs for extreme service life. The Solideal Hauler SKS is now the Camso Hauler SKS. The Camso Hauler SKS is a crossply (bias) pneumatic tyre optimised for long life, high traction and high stability. The Camso Hauler SKS has a stepped tread for excellent traction, self-cleaning and stone ejection with a wide, deep lug providing continuous traction even as the tyre wears down. The extra-wide sidewall gives the Camso Hauler SKS increased durability, with the heavily reinforced under-tread protecting the tyre from impacts and punctures and a special rim guard reducing the risk of wheel damage. The Solideal Hauler SKZ is now the Camso Hauler SKZ. The Camso Hauler SKZ is a crossply (bias) pneumatic tyre built for maximum service life. The Camso SKZ has a non-directional tread and very low ground pressure. The Camso Hauler SKZ has extreme puncture and cut resistance, even on the sidewall. 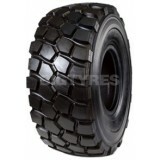 Previously known as the Camso Solideal Hauler XD44, the Camso SKS 774 is a crossply (bias) pneumatic tyre intended for a lifetime of service under the most extreme and abrasive work conditions. The extremely robust sidewall protects the tyre from heavy impacts, and the unique compound gives the Camso SKS 774 a high resistance to cutting and gouging. 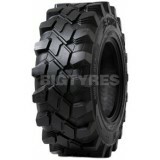 The massively deep tread provides the Camso SKS 774 with excellent traction in tough conditions. The Camso Solideal HT is a High-Tread solid (resilient) tyre built for extensive life and universal application. The Camso Solideal HT has an aggressive deep lug tread pattern for a stable and long-lasting tyre for all applications where a pneumatic tyre would fail. All Camso Solideal tyres have non-marking variants available for use in clean-floor environments. Please Contact Us for details. The Solideal LoadMaster LM L2 is now known as the Camso LM L2. The Camso LM L2 has been engineered to maximize traction and tyre life in off-road applications. The Camso LM L2 delivers excellent performance with enhanced traction, durability and side impact resistance for use with Wheel Loaders. The Solideal LoadMaster LM L3 is now known as the Camso LM L3. The Camso LM L3 is a crossply (bias) pneumatic tyre built from a superior natural rubber compound. The non-directional tread pattern balances on- and off-road performance, with the Camso LM L3 also offering a high resistance to cutting and gouging. The Camso Solideal Mag2 Solidair is a solid (resilient) tyre with the air cushioning of an industrial pneumatic tyre. The unique aperture design of the Camso Solideal Mag2 provides superior comfort, great stability and low heat build-up. The Camso Solideal Mag2 has the same premium tread as the Camso Solideal Xtreme tyre. All Camso Solideal tyres have non-marking variants available for use in clean-floor environments. Please Contact Us for details. 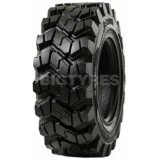 The Camso Solideal Magnum TR is a press-on band with the famous Magnum tread pattern. The Camso Solideal Magnum TR has a high lug-to-void ratio for improved traction and water displacement. A wide, flat tread profile gives the Camso Solideal Magnum TR decreased vibration and increased stability. 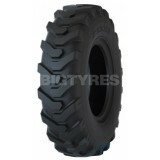 The Camso MPT 532R is a durable, high-traction radial tyre for telehandlers, backhoe loaders and compact wheel loaders. Available in a range of popular construction sizes, the Camso MPT 532R has a strong radial carcass and is designed to minimise soil compaction. The traction, durability, comfort and stability of the Camso MPT 532R are all improved by an aggressive, deep lugged tread design across the wide and flat tread profile. The Camso MPT 552 is a versatile and durable construction tyre designed for mini-dumpers, telehandlers and similar vehicles. The enhanced tread of the Camso MPT 552 reduces vibrations to increase driver comfort, and improves traction in off-road conditions. The Camso MPT 553R is an advanced radial tyre for telehandlers and compact wheel loaders. The Camso MPT 553R offers great performance on mixed hard surfaces and in a variety of working conditions. The wide, flat tread profile of the Camso MPT 553R enhances traction and stability, and provides even wear over the course of the tyre's life. The Camso MPT 553R also has a non-directional tread pattern with large, interlocked centre blocks for traction, stability and driving comfort. The Camso MPT 753 is a rugged construction tyre for telehandlers, compact wheel loaders, mini-dumpers and similar machines. The Camso MPT 753 provides enhanced traction in a variety of surface applications without sacrificing ride quality. The Camso MPT 753 offers excellent overall durability and puncture resistance. The Camso MPT 793S is a flat-free solid tyre designed for telehandlers and compact wheel loaders in severe working conditions. Unlike a traditional solid tyre, the Camso MPT 793S has triangular sidewall apertures to make the tyre more driver-friendly without compromising stability. The Camso MPT 793S has a massive, non-directional tread pattern with stepped shoulder lugs for durability, versatility and traction. The Camso MST 776 is an L5 Smooth tyre designed for underground mining applications. Manufactured with premium rubber compounds and advanced sidewall design, the Camso MST 776 offers excellent puncture and impact resistance and minimises tyre slippage. The Solideal Gripper is now the Camso SKS 332. The Camso SKS 332 is a reliable tyre solution that’s made to resist chunking and tearing. With good durability and traction, the Camso SKS 332 is an ideal choice for light-duty, off-road skid steer loader applications. The Solideal SKS R1 is now the Camso SKS 511. 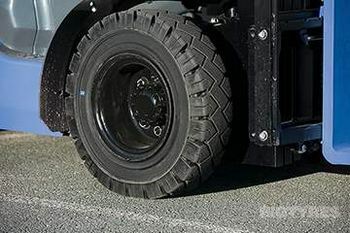 The Camso SKS 511 Traction Master is a crossply (bias) pneumatic tyre with a unique tread pattern for outstanding traction and flotation. The extra-deep tread gives the Camso SKS 511 increased durability and extended service life. The Camso SKS 511 has excellent all-round handling and protection. 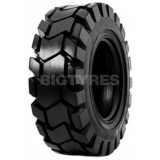 The Camso SKS 532 is a premium soft-surface skid steer tyre, designed to replace the Camso/Solideal Xtra Wall. The Camso SKS 532 features a deep, stepped tread made from a premium rubber compound to improve service life and traction. Compared to the Xtra Wall, the Camso SKS 532 shows 30% better life performance in controlled conditions. The Camso SKS 532 also has a range of safety features: the innovative impact guard protects the sidewall and wheel rim, and the deep tread with void guards enhances tread impact protection and reduces the risk of punctures. 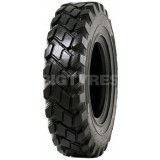 The Camso SKS 732 is a lug-type tyre for skid steer loaders. Designed for softer surfaces, the Camso SKS 732 has massive tread depth, with a self-cleaning stepped tread design. The Camso SKS 732 has enhanced protection for the tread area and sidewalls, to help protect the tyre from punctures and impact damage. The Camso SKS 753 is designed to replace the older Camso/Solideal Hauler SKZ. The Camso SKS 753 has 30% better life performance compared to the Hauler SKZ, and a minimum of 10% better impact resistance. The non-directional tread pattern and open, stepped shoulder lugs provide the Camso SKS 753 with excellent cleanout, traction and durability on all surface types. The Camso SKS 753 also features an advanced rim guard to protect the sidewall and rim from impact damage. 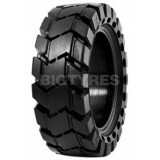 The Camso SKS 775 is a hard-surface tyre for skid-steer loaders. The Camso SKS 775 uses an innovative tread pattern with a massive 50/32 tread depth to maximise traction, tyre life and impact resistance. It then goes further with the new Camso impact guard design to protect the sidewall and wheel rim, as well as stepped shoulder lugs to improve traction and cleanout on mixed surfaces. 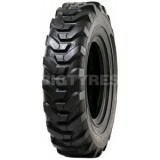 The Camso SKS 775 is an ultra-heavy-duty tyre with outstanding durability in severe conditions. The Solideal SafetyMaster SKS is now the Camso SKS 782S. The Camso SKS 782S is a solid skid steer tyre solution for flat-free, off-road operation. Designed with durability in mind, the SKS 782S also provides excellent clean-out for improved off-road traction. The Solideal SafetyMaster SM is now the Camso SKS 786S. 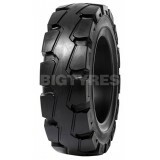 The Camso SKS 786S is the ideal solid tyre solution for flat-free, hard-surface operation on skid steer loaders. 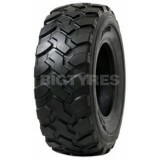 Built to maximise tyre life while providing excellent stability for primarily indoor, hard-surface operations. The Camso SKS 792S is a flat-free tyre option for skid steer loaders in severe working conditions. The Camso SKS 792S has a special sidewall aperture design to provide pneumatic-tyre comfort. 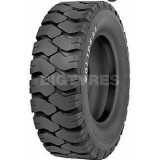 The Camso SKS 793S is a next-generation solid tyre for skid steer loaders. Engineered to deliver excellent ride quality and outstanding durability, the Camso SKS 793S is long lasting and puncture-proof. The massive tread depth with a non-directional design improves tyre life and versatility, making the Camso SKS 793S the ideal choice for even the most severe working conditions. The Solideal SolidAir SM is now the Camso SKS 796S. The Camso SKS 796S is a premium solid tyre solution for hard-surface operations. Designed with pneumatic comfort in mind, the Camso SKS 796S reduces aperture hole cracking while delivering excellent stability and the best tread life on dry hard-surface operations. The Camso Solideal SKS is a solid (resilient) tyre with a directional pattern. The stepped tread design provides the Camso Solideal SKS Xtra with good traction and self-cleaning, with the extra-wide lug significantly increasing stability in a variety of conditions. This tyre is available in Left and Right varieties for each side of your vehicle. The Solideal SKZ E3/L3 is now the Camso SKZ. The Camso SKZ delivers enhanced durability on mixed surfaces. The Camso SKZ is also designed for even tread wearing, resistance to tread punctures and increased stability for a versatile wheel loader solution. The Solideal SuperLug SL G2 is now the Camso SL G2. The Camso SL G2 is a crossply (bias) pneumatic tyre with a responsive sidewall for superior driving comfort. The Camso SL G2 has a step-down tread design for excellent traction and stone ejection. The Solideal SL R4 is now the Camso SL R4. 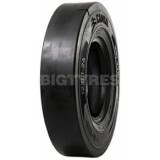 The Camso SL R4 is a crossply (bias) pneumatic tyre with an extra-heavy casing for maximum durability. The Camso SL R4 has an extra-deep tread and stepped reinforced lugs for excellent service life, stability and self-cleaning. The Camso Solideal SM is a press-on band with a smooth tread. The crowned tread profile provides the Camso Solideal SM with excellent cushioning for increased driver comfort. The Camso Solideal SM has a wide, flat tread for decreased vibration, increased lateral stability and great rolling resistance. The Camso Solideal SM is a solid (resilient) tyre with a smooth tread and heavy duty carcass. The Camso Solideal SM is the ultimate solution for extremely tough applications. The Camso Solideal PON 550 is a solid press on band forklift truck tyre with a grooved tread pattern to deliver grip and control on uneven or wet surfaces. The Camso Solideal PON 550 tyre delivers durability that you can rely on, and is made with high-performance, natural rubber compounds. The Camso Solideal PON 550 resists chunking and cutting in the most demanding applications, while delivering maximum life and stability for medium intensity applications. The Camso Solideal PON 555 is a solid press on band forklift truck tyre with a smooth tread pattern. The Camso Solideal PON 555 tyre delivers durability that you can rely on, and is made with high-performance, natural rubber compounds. The Camso Solideal PON 555 resists chunking and cutting in the most demanding applications, while delivering maximum life and stability for medium intensity applications. 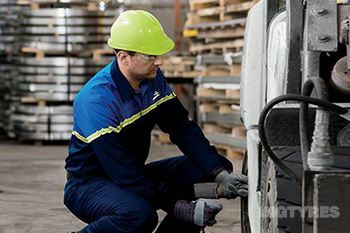 The Camso Solideal RES 330 Tyre (Previously named the Solideal Ecomatic Tyre) is a solid (resilient) forklift tyre that is regarded as best-in-class for low intensity applications, or for fork trucks in infrequent use. The Camso Ecomatic has a general-purpose tread suitable for most environments. 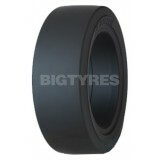 It is wide and aggressive with natural rubber compounds to extend its life, whilst being able to resist cutting and chunking. 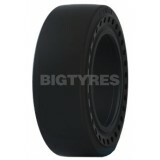 It also features a steel-bead reinforced heel to ensure the tyre won’t slip on the rim. All Camso Solideal tyres have non-marking variants available for use in clean-floor environments. Please contact us for further details and availability if these are required. 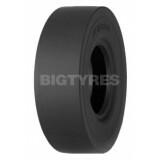 We offer a Mobile Fitting service for this tyre, where qualified and experienced fitters can be booked to come to your site and change your tyres with their quick and reliable service. 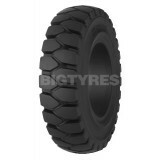 The Camso Solideal RES 550 Tyre (Previously named the Solideal Magnum Tyre) is a high-quality solid (resilient) forklift tyre. 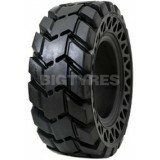 The Magnum tyre has a wide profile and flat footprint for increased stability and grip. The huge lug depth maximises tyre life and traction, making the Camso Solideal Magnum tyre suitable for fork trucks in frequent use, and in higher intensity applications such as ports and 24-hour distribution centres. All Camso Solideal tyres have non-marking variants available for use in clean-floor environments. Please contact us for further details and availability if these are required. 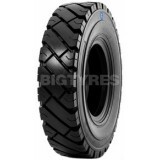 We offer a Mobile Fitting service for this tyre, where qualified and experienced fitters can be booked to come to your site and change your tyres with their quick and reliable service. 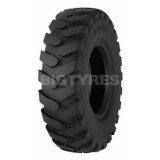 The Camso Solideal RES 660 Tyre (Previously named the Solideal Xtreme Tyre) is a super-premium solid (resilient) forklift tyre with industry-leading durability and reliability. 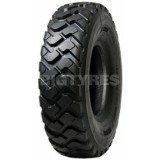 It truly is the ultimate tyre for non-stop usage applications. The tyre features a deep, wide tread to maximise tyre life and increase lateral load stability. It has a continuous centre lug to reduce vibration, tyre noise and increase operator comfort, along with a heat-resistant middle layer to increase tyre life. The Solideal RES 660 Xtreme tyre aims to minimise the long-term operating cost through unmatched durability and service life. The Camso SL G3 tyre has been designed for use on off-road and hard surfaces. Engineered with durability and traction in mind, the Camso SL G3 also delivers superior side impact resistance and stability in heavy-duty applications. The Solideal TH2 is now the Camso TLH 532. The Camso TLH 532 tyre sets the bar for a high quality, reliable tyre solution. The Camso TLH 532 is the best choice for light off-road applications with its enhanced durability and even tread wearing. 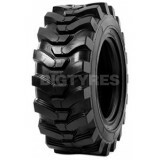 The Camso TLH 732 is a construction tyre for telehandlers and motor graders. 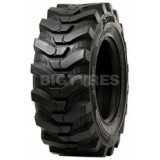 The Camso TLH 732 has an advanced tread design, with huge tread depth and stepped, wrap-around lugs. These features provide the Camso TLH 732 with great durability, superb traction and maximum tread cleanout. The tyre also features a void guard and innovative sidewall design to protect from impacts and punctures. 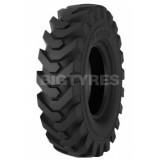 The Camso TLH 753 is a durable and versatile tyre designed for telehandlers and motor graders in a variety of working conditions. The Camso TLH 753 offers excellent durability, traction and stability through its extra-deep non-directional tread with an optimised lug-to-void ratio and stepped tread design. 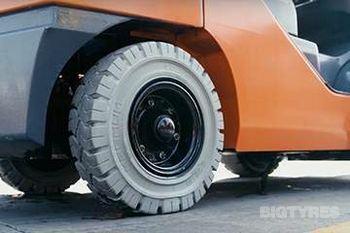 The Camso TLH 753 also features in impact guard to protect the sidewall and wheel rim. The Solideal SolidAir TLH is now the Camso TLH 792S. The Camso TLH 792S is an extreme-duty solid telehandler tyre. With optimised stability, durability and comfort, the Camso TLH 792S delivers flat-free operation and traction in extreme applications. The Solideal Tractionmaster TM R4 is now the Camso TM R4. The Camso TM R4 is a crossply (bias) pneumatic tyre with a responsive sidewall for great stability and improved driving performance. The wide footprint aids the Camso TM R4 with good self-cleaning, and its deep lugs are optimised for high traction on all terrain. The Solideal WEX is now the Camso WEX 552. The Camso WEX 552 is a reliable performance option for wheel excavators. The WEX 552 tyre's enhanced stability, traction and added side impact resistance make this one of the best options for wheel excavators. The Solideal Bagger is now known as the Camso WEX 583S. The Camso WEX 583S is a High-Traction solid (resilient) tyre intended for use on wheeled excavators. The Camso WEX 583S Delivers reliable performance and quality for extreme wheel excavator applications. Known for its enhanced durability and traction, the WEX 583S is the best solid solution for off-road conditions. The Solideal SRGP E3/L3/G3 is now the Camso WHL 753R. The Camso WHL 753R has been designed for enhanced radial performance, versatility and durability. The Camso WHL 753R also features enhanced stability, improving ride quality and traction with its optimised tread pattern. It’s the best choice for Wheel Loaders, Motor Graders and Articulated Dump Trucks. The Solideal RM E3/L3 is now the Camso WHL 773. 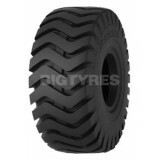 The Camso WHL 773 is a crossply (bias) pneumatic tyre with an extremely large tread volume. The Camso WHL 773 has a very wide footprint and is ideal for rock applications. The Camso SRLD is now the Camso WHL 775R. 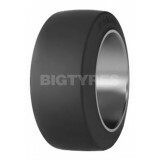 The Camso WHL 775R is one of the best solutions for wheel loader tyres. Combining multi-surface versatility and long-lasting durability the Camso WHL 775R has excellent stability and resistance to cracking. 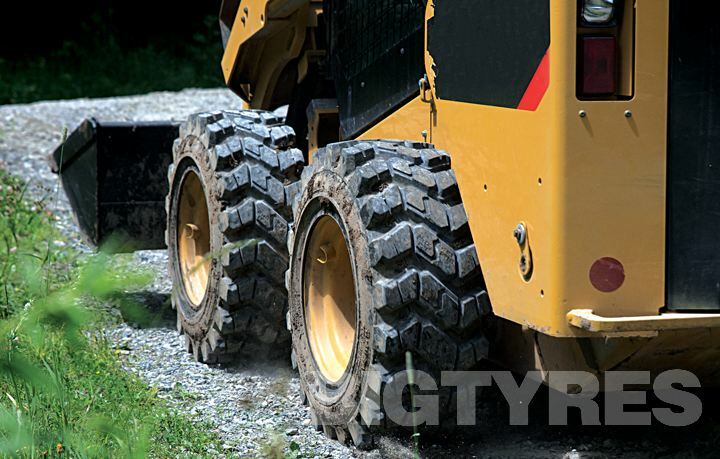 It's the ideal radial L5 tyre solution for extreme mixed- and hard-surface wheel loader applications. The Camso SRLS L5 is now the Camso WHL 776R. The Camso WHL 776R has been thoroughly designed to maximise service life on hard-packed surfaces. The Camso WHL 776R's reinforced side wall and extra deep tread ensures that you get the best puncture resistance to flat tyres and side impacts even while carrying heavy loads, it is one of the best L5 radial tyres for extreme hard-surface applications. The Solideal WL is now the Camso WL. 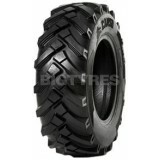 Camso WL is a crossply (bias) pneumatic tyre with a heavy-duty construction for high durability and stability. The Camso WL has deep lugs and an advanced rubber compound for maximum service life and resistance to cuts and chips. The Solideal Xtra Wall is now the Camso Xtra Wall. 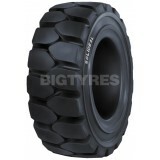 The Camso Xtra Wall is a crossply (bias) pneumatic tyre with long life and great traction. The Camso Xtra Wall has a reinforced sidewall and a rim guard for maximum protection from impacts, punctures and wheel damage. The stepped tread design provides the Camso Xtra Wall with good traction and self-cleaning, with the extra-wide lug significantly increasing stability in a variety of conditions. The Camso Solideal ZZ-Rib tyre is a specialist tyre for airport ground support equipment. The tyre features: Wear & cut resistant tread compound, Self-cleaning, Reduced vibration & increased stability, Excellent grip and full flat profile, Reinforced shoulder, side wall and bead for enhanced stability, Deep under tread for improved puncture resistance. 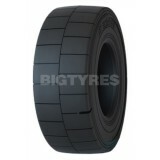 Order Camso Solideal ZZ-Rib tyres online from Big Tyres today!